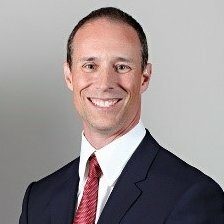 Josh Lawler is an equity partner at the law firm of Zuber Lawler & Del Duca, LLP where he leads the New Technology Group, focusing on Blockchain (distributed ledger), artificial intelligence, robotics, biotechnology, nanotechnology, virtual/augmented reality, internet of things, cybersecurity, and related technologies. Mr. Lawler is a dedicated futurist and self-described biotech/nanotech junky and trader of crypto-assets. Recognizing the potential of distributed ledger technology (Blockchain), Mr. Lawler has focused his energy on analysis of related business applications, from both commercial and legal perspectives. In addition to providing legal counsel, Mr. Lawler also provides insight into token economics and distribution as applied to creation of a functioning token based ecosystem.